I promised my NC friends that I would post stories of my new adventures. Unfortunately, there hasn’t been a lot of time to go out exploring and adventure seeking. I’ve been busy taking care of business and settling in and adjusting to my new home and routines. That is, until today! 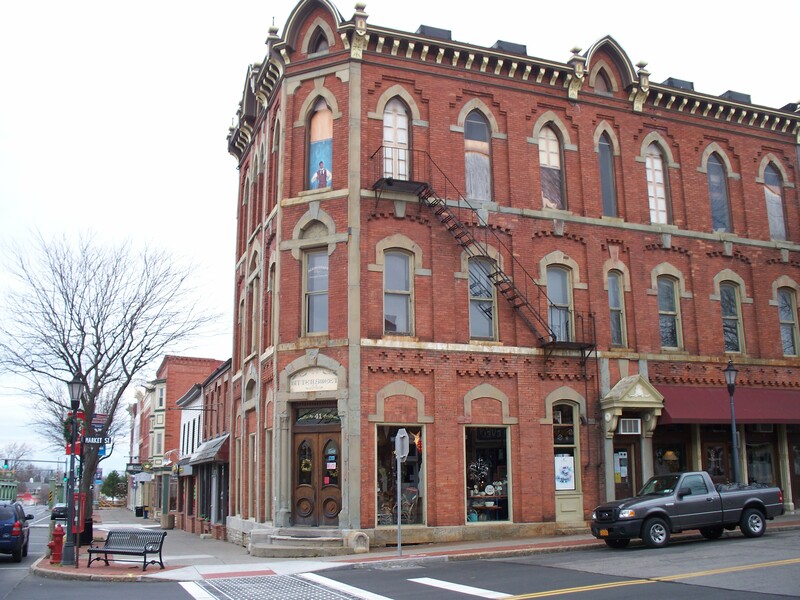 I decided to go on a little adventure and spend the day in nearby Brockport – a village about a 30 minute drive away that I have quite a bit of history and fond memories of. It started out with wanting to go to Lowes to look for some specific Christmas decorations that I couldn’t find in the WalMart here in town and turned into a full day of wandering down memory lane. It was a lovely day and I thoroughly enjoyed myself. 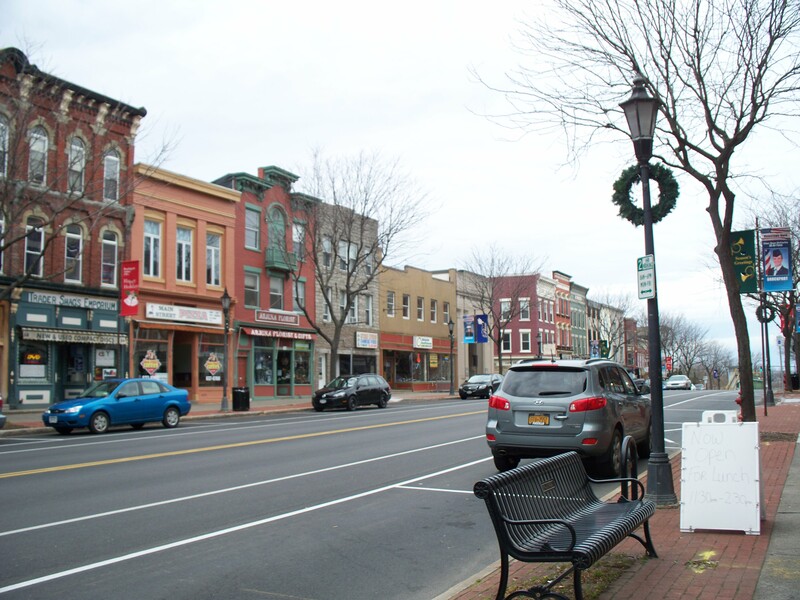 Brockport is a small village that is a typical college town – very quaint and friendly. The south end of town has grown a LOT, but downtown hasn’t changed all that much. Yes, most of the stores are now something different, but it looks just about the same as it always has. 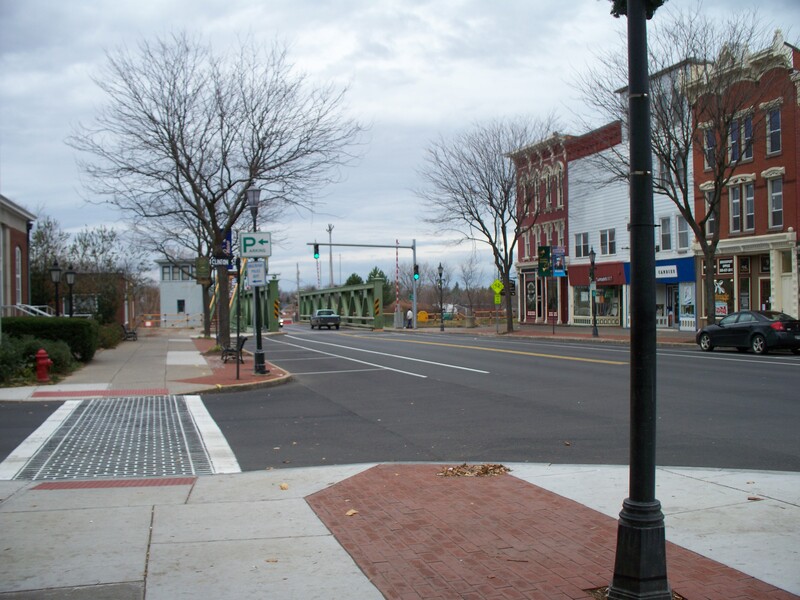 Brockport has a unique feature – none of the streets come together to cross main street, with the exception of one street, but even that one isn’t exactly even as it meets up at the intersection! You see, the two founders hated each other! So much so that they split the town down the middle, with Main Street being the separation line, and refused to allow any streets to intersect and cross main from one side to the other! To get from one side of town to the other, you pretty much have to zig zag down Main Street from one side street to another. I always found that story fascinating! 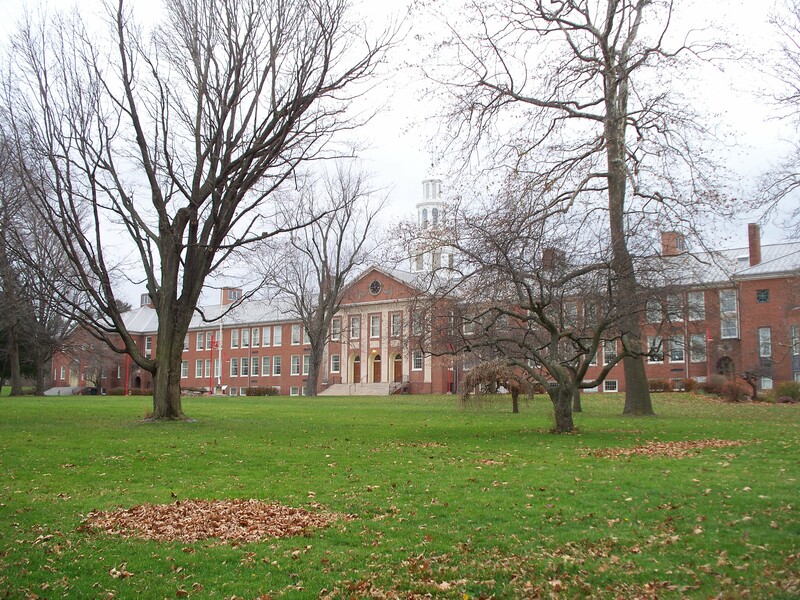 I lived in Brockport for a year (late ’70s) while I worked at General Electric, which I started working at right out of high school and stayed employed there for about 11 years between 1974 and 1985. My BFF, at the time, and GE co-worker, Greta, and I rented an apartment for a year. It was a blast! 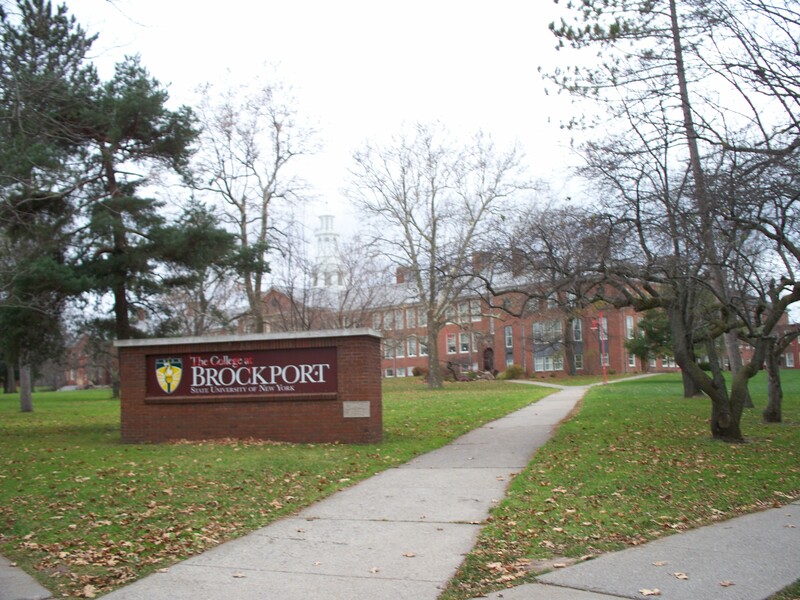 So, between working there for so many years and living there for a year, I spent a LOT of time in Brockport and got to know it really well. I really enjoyed Brockport and all it had to offer. My day started out early – I got to Brockport and the first thing I did was to go to the Brockport Diner for breakfast! I had a delicious plate of eggs, home fries, and bacon! 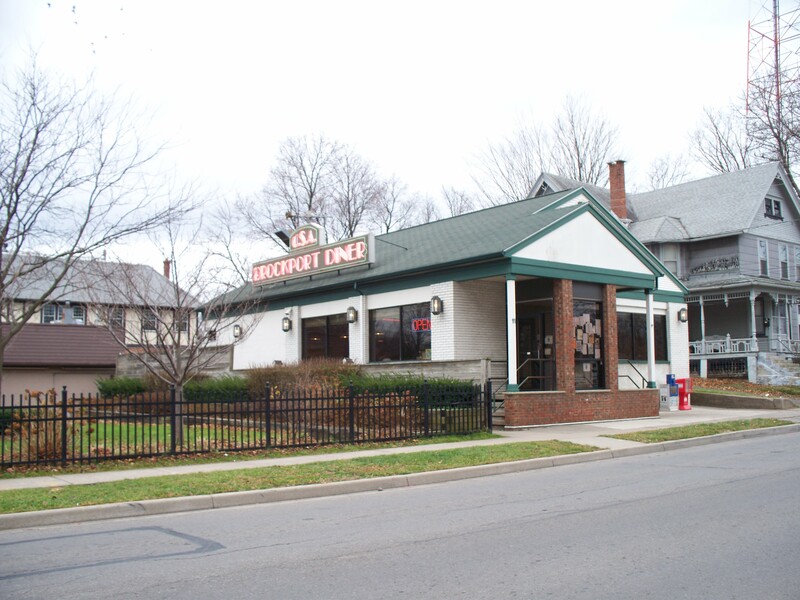 During the year I lived in Brockport, Greta and I were at the Brockport Diner at least once just about every single day – most often for breakfast and coffee after the bars closed. We’d go out after working second shift and then the gang we were out with would go sit at the diner talking, playing the table top juke boxes, having breakfast, and drinking coffee until the sun came up! Occasionally, we’d also go for a meal during the daylight hours! hahaha I was happy to see it still there and looking pretty much the same as it did all those years ago – yeah, it was rearranged a little, but basically the same – except the table top juke boxes were gone! We put a TON of quarters in those things!!! My favorites – two songs I ALWAYS played at least once a night – were Eric Clapton’s Cocaine and Heart’s Barracuda! After breakfast, I took a stroll downtown. It was Sunday morning, so nothing was open, but it was still a nice walk. The weather was very nice – a little over cast, but warm – and there were several people out strolling, as well. 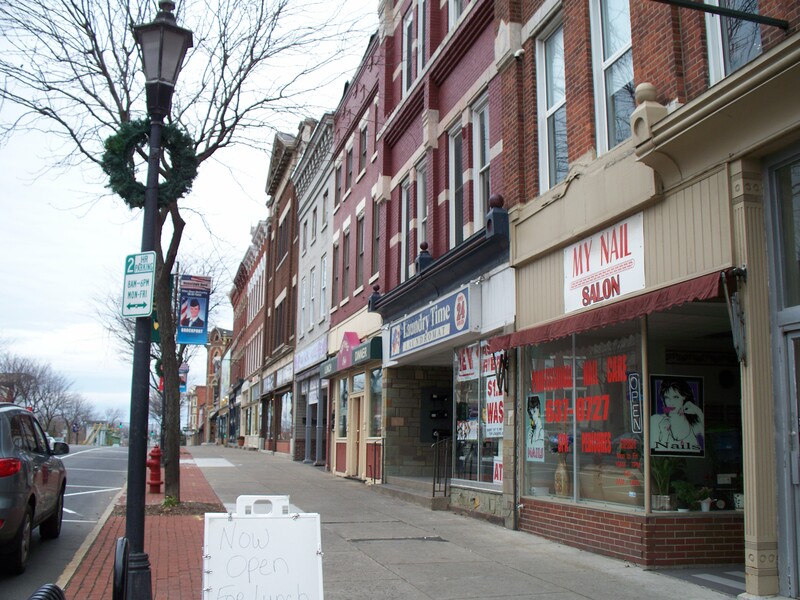 The downtown section of Main Street was familiar and comfortable – even if most of the stores were different. I walked slowly and took it all in and it felt good! This is the only intersection that goes across Main St. I’m standing on the corner in front of the diner looking across to the movie theater. There used to be two theaters downtown, but now this one is the only one that remains. 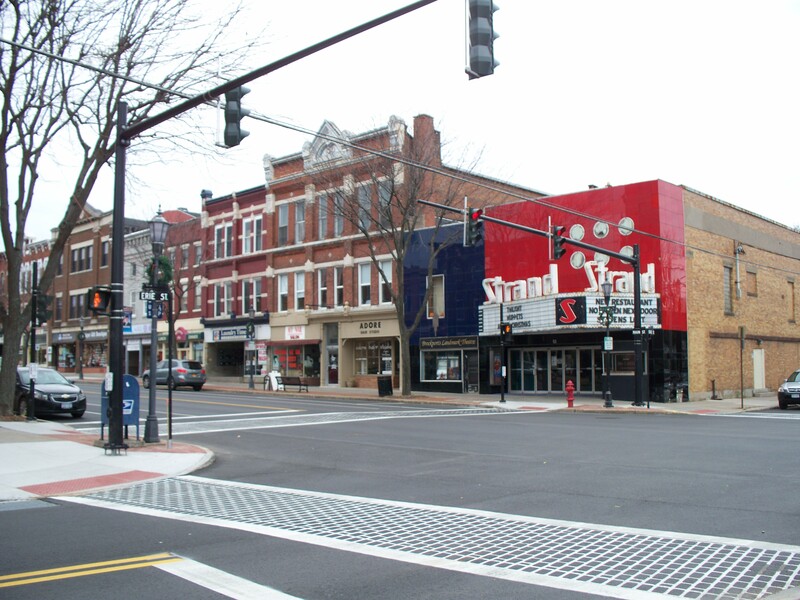 Looking north across and down Main St. from in front of the movie theater. The movie theater side of Main St. looking north. This place was interesting — I love the name of the shop!!! Instantly put Jefferson Airplane’s White Rabbit song in my head for the rest of the stroll! I wish it had been open – I would have enjoyed going in and seeing what it was like inside – maybe another day! 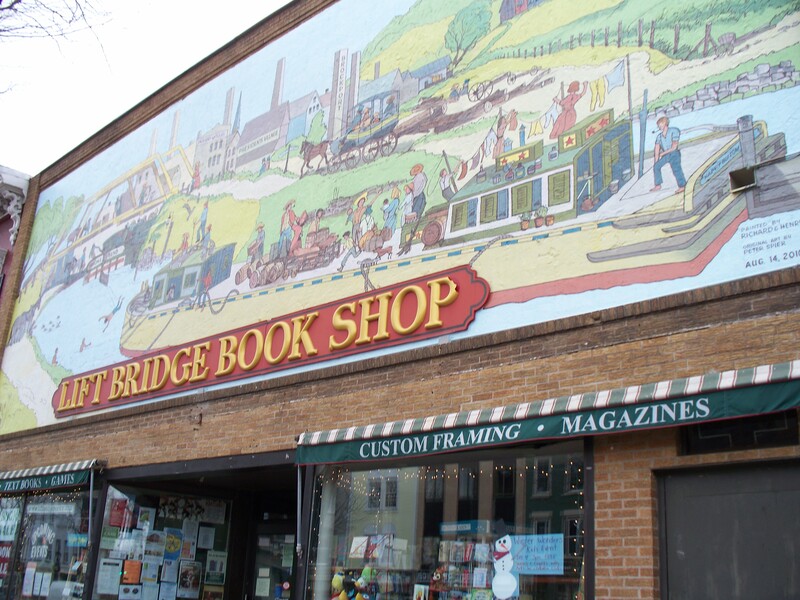 I was happy to see The Lift Bridge Book Store was still there! I don’t remember if the mural above the store was there back then, but the store was one of my favorite places! 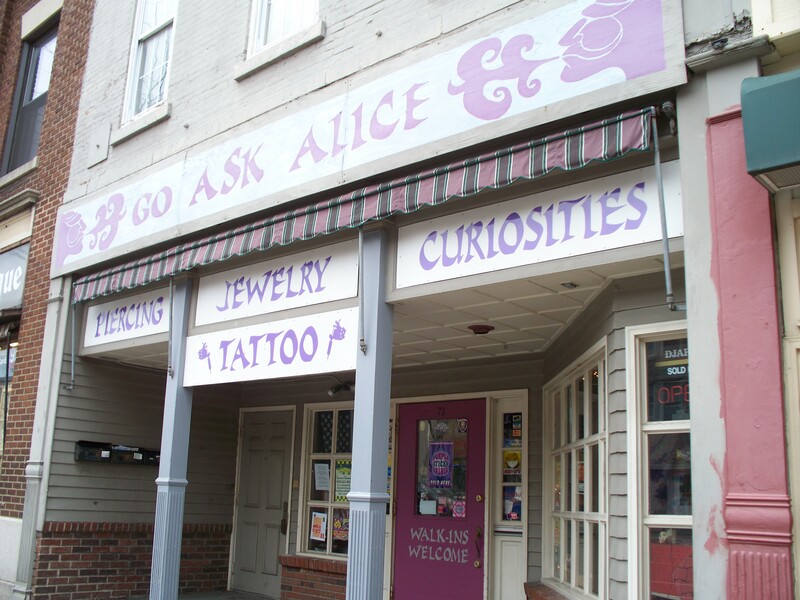 This ornate, eclectic building is a familiar stand out on the corner of Main and Market Streets. No town in the area escapes the need for lift bridges over the Erie Canal! 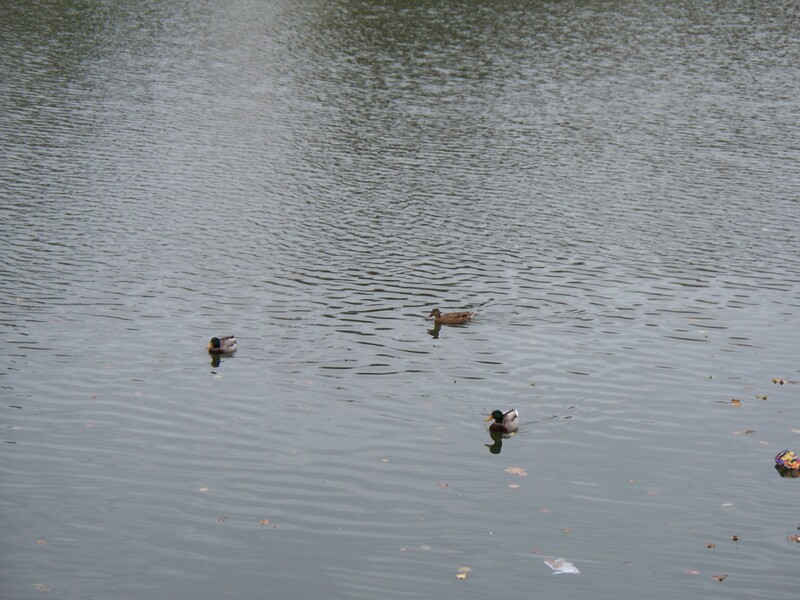 I stopped and watched some ducks swimming in the canal before I crossed the street and headed up the other side back to my car. 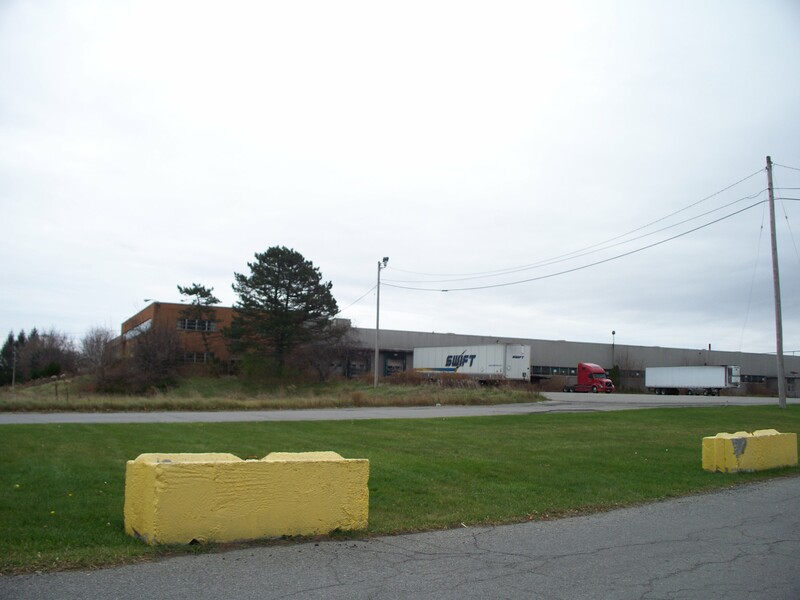 After my downtown stroll, I drove by the SUNY Brockport campus to see how that has grown. I applied and was accepted there and had intentions to get a teaching degree after high school to be an English teacher. I didn’t go (went to work at GE, instead, and college actually came much later in life), but did spend quite a bit of time on campus with friends. SUNY Brockport is a very large campus with a lot of buildings – I drove through campus and see there are even more buildings now than there was back then! One of my fondest memories of this campus was when they hosted the Special Olympics – the national ones! I was a volunteer that worked the event – I was a “hugger” that got to hug all the contestants when they finished their races – and I also got to meet Eunice Kennedy Shriver! What a thrill! Christopher Reeve was there and some other celebrities, too, but Mrs. Shriver was the only one I got close enough to and had the chance to meet – I only wish there was a photo to prove it. 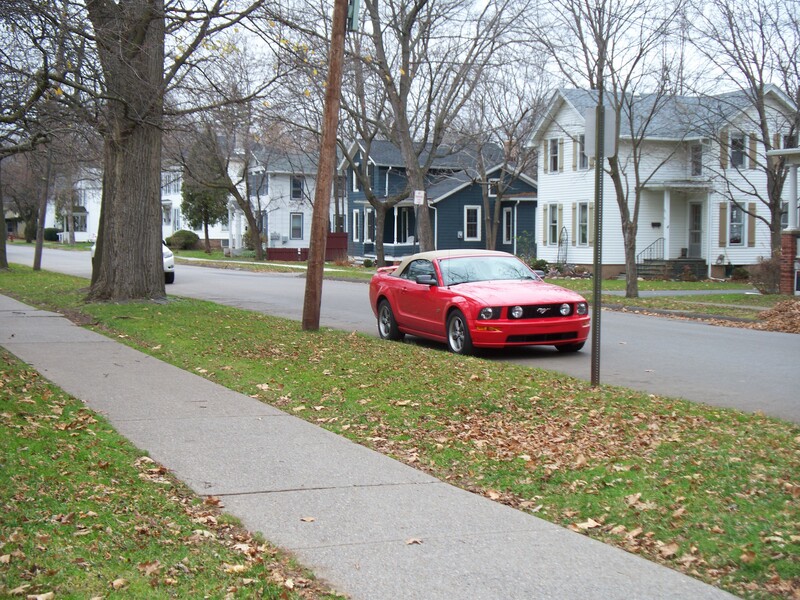 Hey, look – the Pony was spotted parked on campus! After I left the campus, I drove by the old GE plant! What a shock! GE shut down not long after I left, but I was disappointed to see it so run down and looks like it is used as a warehouse, now! I then went shopping at Lowes and WalMart – got all the stuff I originally wanted to go to Brockport for. I got the Christmas decorations for my house – I’ll get them up this week! I also picked up a few other things that I have been needing to get and just haven’t gotten around to it, yet. 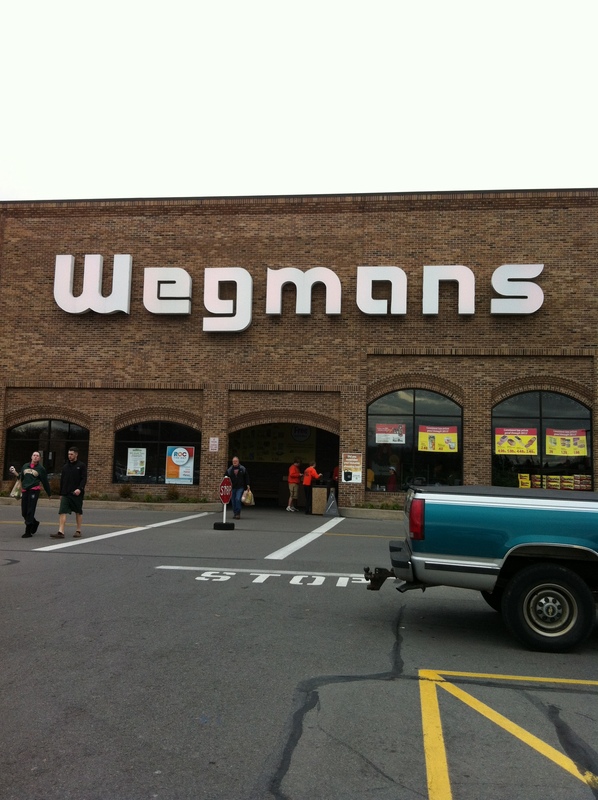 Then……..I went to WEGMANS!!! I L-O-V-E WEGMANS!!! It was a much smaller store when I lived there, but it was still the best place in the world to shop! And NOW! WOW! I went crazy in the fresh fruits and veggie aisles and the specialty sections where they have ready-to-cook and prepared foods in about any variety you could possibly imagine! And, then, there is the rest of the typical grocery store aisles – but more like grocery store aisles on SUPER DUPER STEROIDS!!! And, this one isn’t even as big as the ones in the city are!!! Then, after all that walking – downtown, campus, Lowes, WalMart, Wegmans – I was tired and a little hungry! 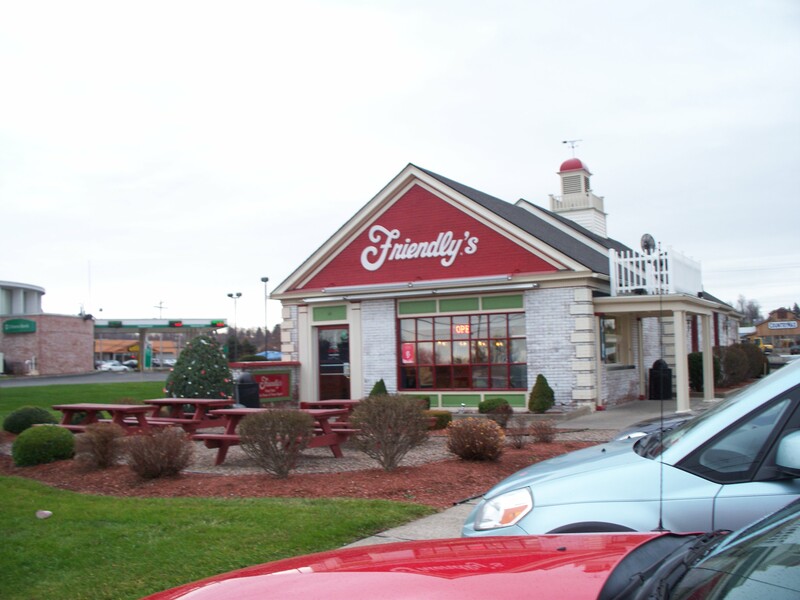 So, when I saw that Friendly’s was still there in the same spot it always was, I HAD to pop in for a treat! Any adventure worth going on isn’t complete without a special treat! 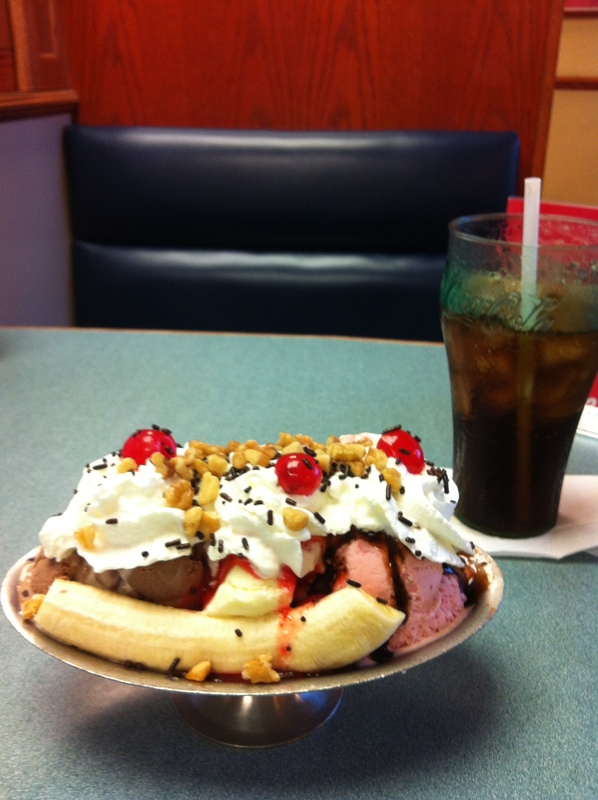 In this case, it was a Royal Banana Split at Friendly’s! YUMMO!!!! So there it is……..my first big adventure – the perfect day exploring my old stomping grounds! I had fun and it brought back a flood of memories – all great ones!!! Wonder what adventure I’ll find myself on next????!!!!???? ← So much to be thankful for….. This is a great post about Brockport. We have been here for a long time….My husband started college in 61 and my first teaching job was at the Campus School (at the college). In ’79 he was in charge of all the volunteers for the Special Olympics and I was in charge of the Chaperone Assistants. Quite an experience. We used to go to the GE Clubhouse for parties. The disco you are referring to was The 2 on 2″ A popular hangout in 1979. What a nice stroll down memory lane. I lived there from 1981-83 as a student. Thanks for the trip! What a terrific walk down memory lane! I graduated in 1975 and stayed in the area until 1980. I remember all those places with fondness. The Roxbury Inn was classic old school Brockport but I think that had changed by the time you arrived. The BVI and the Barge Inn took alot of that clientele away from the Rox. Also, my fave was Auntie’s Attic up toward Hamlin. It was a huge club with live music and cheap beer. I understand that south of downtown has really grown as you mentioned. The Ale House had the best beef on ‘weck. The BVI used to have everyone singing along and sometimes doing a conga line out the door and down the street. 10 cent Tuesday night beers at the Barge. Basketball in the old gym. And of course, Spring-In. I attended Brockport State from 73 to 75 and remember the Ale House and the Barge. I was also housed in Morgan Hall which at that time was the oldest dorm on campus. Taking a shower was an adventure in personal fire safety as before taking a chance in the shower one had to make sure the toilet stalls were empty as a random flush could end up in 3rd degree burns. Genesee Pale Ale and Vienna Splits were the norm which are probably now ancient History. I remember my Brockport days as the REAL Animal House experience.